Barbell complexes are great for building endurance, adding strength-based cardio to your workouts, and torching fat, says Alyssa Ages, an athlete with PowerNYC Training and trainer at Global Strongman Gym. Try one (or all) of these five routines from Ages to mix up your go-to circuit workouts and build huge muscle. To choose your weight for each complex, you’ll need to figure out a weight you can feasibly use for the prescribed number of reps of your weakest lift. That will be your weight for the entire complex. Keep your rest short between exercises (you’ll have some rest between rounds), and do not drop the bar until a full round of the complex is complete. 1. Complete 1 rep of each exercise, 2-3 times without putting the bar down. For example: In complex 1 you would do 1 rep each of the deadlift, row, clean, thruster, and squat, then immediately repeat those 5 movements 2 more times before putting the bar down. Try 4 sets like that. 2. Complete 4-6 reps of each movement before moving on to the next, resting only when you’ve completed all the movements. In complex 1 that would mean you complete 4 to 6 reps each of deadlift, row, clean, thruster, and squat before you put the bar down. Work up to 4 rounds. 3. Change the rest time. Begin with 2 minutes rest between rounds, and gradually reduce to 60 seconds to increase the metabolic burn. 4. For all complexes (including the fifth complex), vary the weight. Start with an empty bar to make sure you know how to execute each lift, and add weight as you feel comfortable. 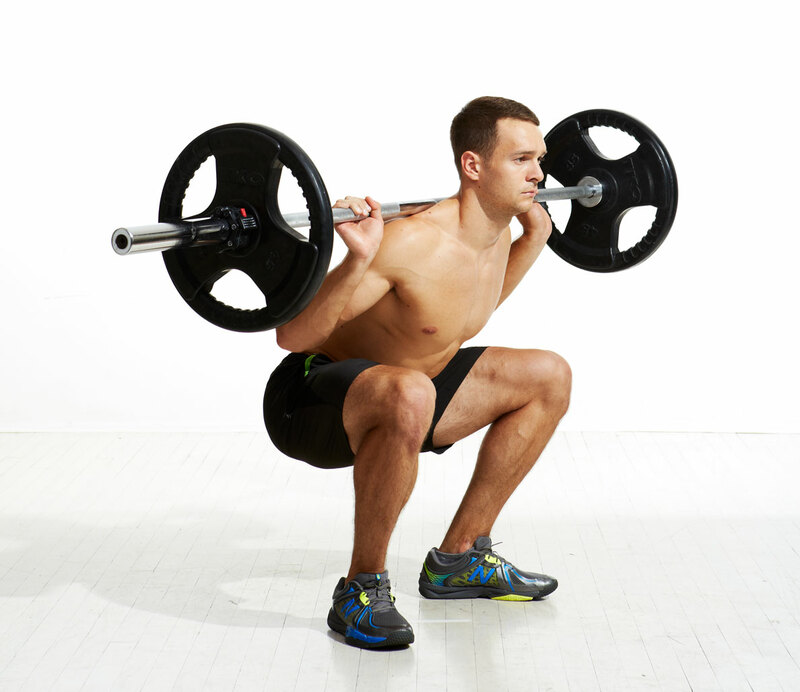 Also known as the “bear complex,” this one is a favorite in CrossFit boxes but you can do it on your own at the gym. 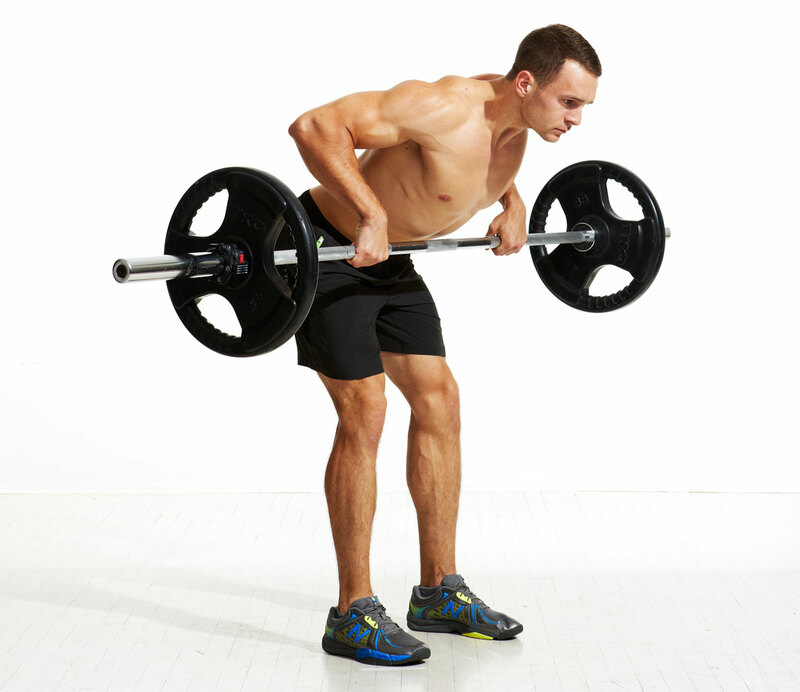 Go through each barbell movement for 1 rep, 7 times. That’s one round. The “bear complex” consists of doing 5 rounds.